While AsRock has not yet released for sale their new motherboard AsRock H110 Pro BTC+ With 13 GPU support we already got confirmation that it is working with 13 video cards for mining under Linux and Windows. The sale of the new Pro BTC+ mining motherboard will probably not start before next month, but we already hope to be able to get an in-depth review hopefully by the end of this month or early next month. 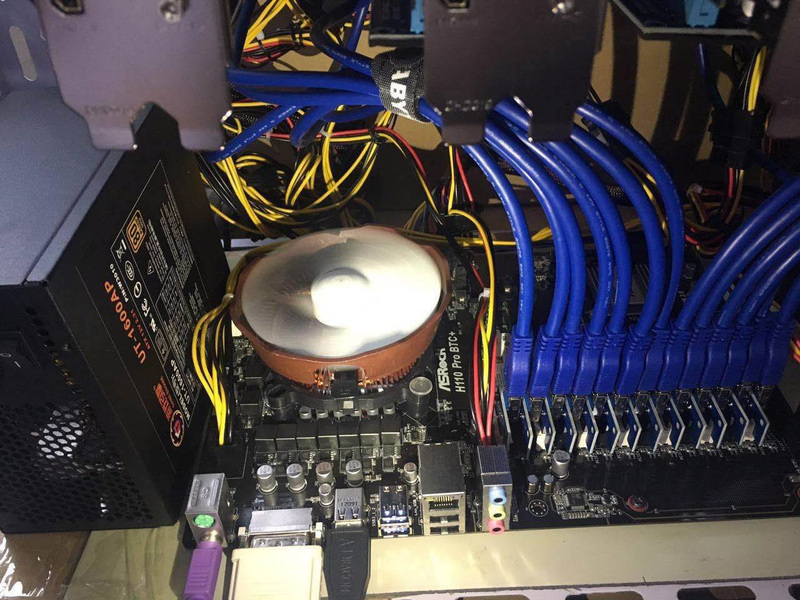 Running 13 GPUs on a single mining rig might be a bit of a challenge as it is not only the motherboard that needs to provide you with the base, but you also need to take care of other hardware as well. Hardware such as power supplies that will handle 13 GPUs, we are talking about multiple PSUs for sure. There are also other possible challenges associated with more GPUs such as higher requirement towards the memory/swap as well as maybe even faster CPU to handle additional load coming from the mining software. 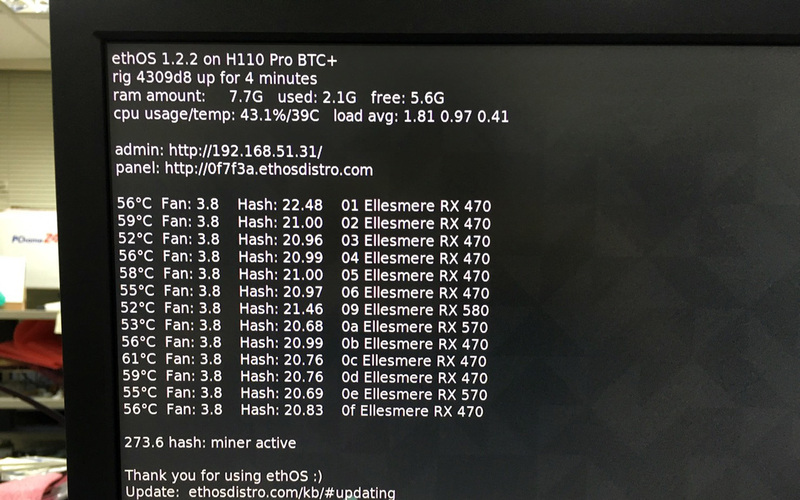 We have seen proof of 13 AMD GPUs running on the AsRock H110 Pro BTC+ motherboard under Linux using the ethOS distribution for mining as well as 13 Nvidia GPUs recognized and working under Windows 10. We are yet to confirm this ourselves by testing the motherboard, but what we are seeing as results already is reassuring that we are going to get a real and working solution for more GPUs per mining rig than what is currently available in terms of 6, 7 and even 8 GPU mining motherboards. Since the AsRock H110 Pro BTC+ motherboard is designed with crypto mining in mind it should be easy and problem free to setup, unlike some other motherboards that people are using at the moment that need some special settings or tweaks in order to make them work with more video cards than they are originally designed for. It has 12 Slots spaced evenly and can use NVidia and AMD Cards at the same time. 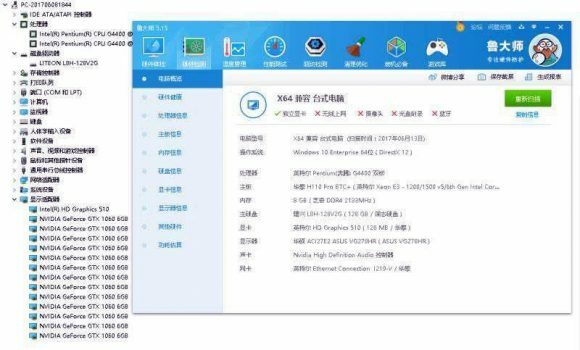 It uses the B250 Chipset while claiming others that use the H110 Chipset must rely on an extension chip to provide more than 6 Slots, causing a Bottleneck. Looks like the motherboards are starting to show up on eBay but the prices are very high. Can’t get windows to boot after installing AMD latest drivers with 8 rX570? 13 x GTX1060 in windows , how ?! anyone tested ? i’m busy building a rig with the AsRock H110 Pro BTC+ mobo, so far I have 6 X GTX1060 6GB GPU’s on win10 Pro x64 – all working fine so far. the plan is to add another 4 GTX1060’s as soon as I get another PSU. one thing i did’n do – I didn’t download Nvidia drivers form their website – i let windows take care of the driver install. biostar tb250 tbc pro (12 pcie), just did not work as it advertised. I have email to Biostar support numerous number of times and they did not reply at all. In Windows 7 64 bits, it can only detect 8 GPU maximum. To boot in Linux (ubuntu desktop version), it will give you blank screen during installation. Tested on windows 10, detects cards but freezes up windows. I have 6 x 1080tis running on windows 10 pro and it runs perfectly, i want to add another 6 x 1080tis but not sure if it will run the 12 under windows? has anyone tested this? maybe il lhave to change over to linux? Maximum is up to 8 for Windows, you would need to use Linux for 12x 1080 Ti. thanks admin, what is limiting it, windows drivers? Drivers, you should be able to mix with 5 AMD cards under Windows, but for 12 of a kind you need Linux. 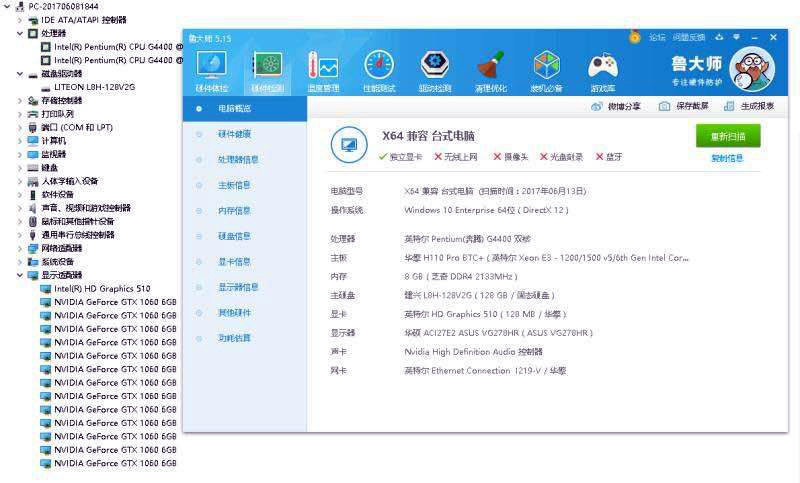 Could any one send me what is the full set for AsRock component that will work smoothly, like what is the required RAM? what is the required power supply? etc..
is it working properly with window or Linux?